The team is expected to be led by the national Department of Transport and includes the Western Cape Department of Transport, the City of Cape Town and the South African National Taxi Council (Santaco). Nzimande met with Santaco, the Cape Amalgamated Taxi Association (CATA) and Congress for Democratic Taxi Associations (Codeta) to discuss the increasing violence. The tension in the suburb was driven by disputes over routes and illegal operations associated with among other things, the introduction of the Integrated Public Transport Network (IPTN) system in the area. 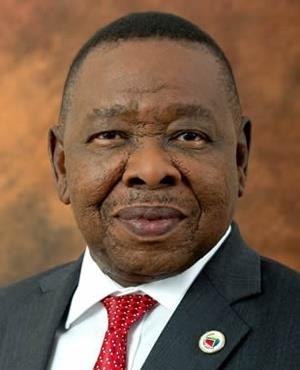 "Following my interaction with the taxi industry, I have decided to establish an intervention team, led by the national Department of Transport, that will include the Western Cape Department of Transport, the Cape Town Metro and Santaco to deal with the Hout Bay Taxi debacle," Nzimande said. He condemned acts of violence, the loss of lives, intimidation and the disruption of public transport in the area and appealed to all involved to exercise restraint and to refer their concerns to the established intervention team. "The team began with its work and I expect a report on progress in a week's time," Nzimande added. On Monday, News24 reported that Police Minister Bheki Cele had vowed that those who were found guilty of the Hout Bay taxi bloodbath, would not be treated with kid gloves.